When it comes to our little ones, parents would do anything to make them feel safe, comfortable and happy. We want to shield them from sickness and discomfort at any cost. 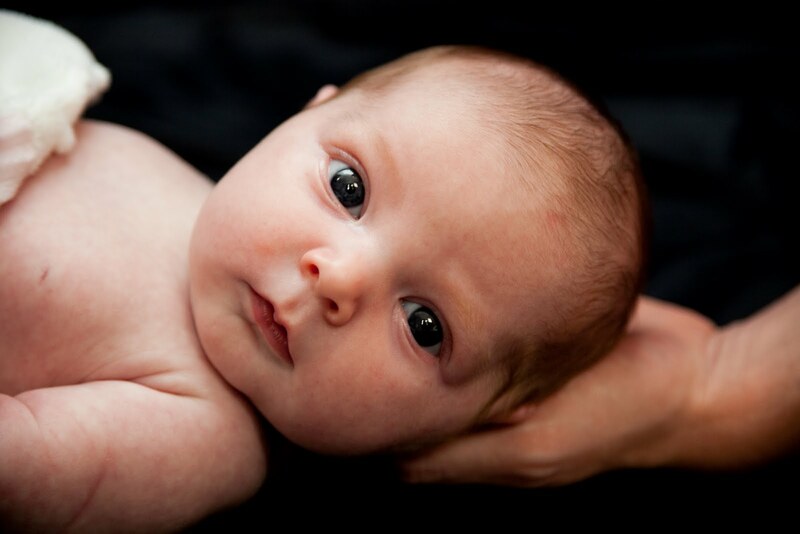 Unfortunately, number of babies and children suffering from skin allergies has increased in recent years. Although there are not any solid conclusions as to why this has happened, there are some likely culprits. ‘Key factors that can irritate your child’s skin include everyday items such as bubble bath, sun creams, soaps, detergents. Skin allergies can also be triggered by allergic reactions to house dust mites, pollen or pets,’ explains Allergy UK’s Nurse Advisor, Holly Shaw. Some scientists claim the reason for the explosion in allergies may be environmental changes. Others claim that western society’s obsession with fighting germs and the so-called hygiene hypothesis posits that a lack of exposure to infectious agents early in childhood can create a scenario where the immune system mistakes a food protein as an invading germ. When it comes to food allergies, often removing an allergen is enough to ease or stop unpleasant symptoms. With skin allergies however, opting for clothing made from natural fibres can be an answer. Skin allergies -what is contact dermatitis? Pesticides and chemicals that fabrics are treated with can certainly cause skin irritations and other dermatological problems. Textile contact dermatitis, or clothing dermatitis, is described as skin manifestations or an irritation which is caused by clothing or fabrics that come in contact with the skin. The source of this problem may be the cloth material used which results in a reaction to textile fibres. This type of contact allergy is caused by chemical additives that are normally used in processing the cloth or fabric. The most common symptoms of textile contact dermatitis include itchiness, redness and scaling. These symptoms most commonly appear within hours after contact with the allergen; however, there are also cases wherein the symptoms will only appear after a few days. 1. Always wash new clothes before wearing them. 2. Use only soap and water when washing clothes. As much as possible, lessen, if not completely eliminate the use of fabric conditioner and detergents which contain perfumes and other harsh chemicals. 3. Remove old clothes as it may have accumulated dust and mites over the years. 4. Always wash your clothes before using them again. 5. Stop wearing clothes that give you allergy. What are the best fibres for people with sensitive skin? The best choice for people with sensitive skin are in general natural fibres like cotton, silk and bamboo (but still some of these fabrics go through heavy chemical processing). It is more tricky with animal fibers like for example sheep’s wool. Some people might be allergic to wool itself which is very uncommon. Most of the time it is lanolin, a naturally occurring oil in sheep’s wool, which holds dust and microscopic allergens that create the allergies. While yarns are treated to remove most of the lanolin, there are always some traces left and those with allergies can still experience discomfort. Another reason for a reaction could be the dyes or other chemicals that might have been used. Or simply for others, the discomfort they feel when they wear wool could just be its texture. The fibers in wool are often coarse, making it feel itchy and uncomfortable, especially if your skin is easily irritated. Also, if the wool is of poor quality, this can make it more likely to ‘scratch’ against the skin. Alpacas, however, do not produce any lanolin! Their fibres have a unique construction and a natural waterproofing that means they don’t need to produce the oil at all. Exciting news for those with wool allergies! First of all, alpaca wool doesn’t contain the lanolin which is the reason alpaca fleece is considered hypoallergenic. The fact there is no lanolin also means your alpaca clothing won’t need to be washed that often and at such high temperatures or with harsh chemicals. The chemicals in detergents are another potential form of allergen, which can lead to contact dermatitis for those with sensitive skin. Alpaca hair has a flat staple, which means it is smooth and soft and doesn’t pill and bobble like other fibres. Wool and cheaper cashmeres have shorter staples which make the fabric less abrasion resistant. 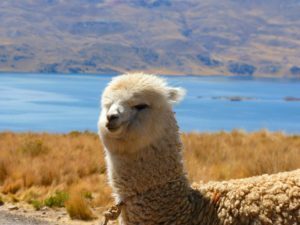 Moreover, alpaca wool has many other benefits beyond the fact that it’s considered hypoallergenic. It’s considerably warmer than sheep’s wool, it resists the wet and keeps moisture away from the skin and despite its fine structure, it is strong and durable, which makes alpaca clothing a great investment.